Q. I don't need 1,000 packets. Do you have other quantities available? A. Yes!  Please check out our Kickstarter campaign for several smaller size orders, to include 5, 10, 25, 50, and 100 cinnamon packets! If you help us raise enough money, we will be producing 100-packet retail cases that will be sold in your local grocery store! The antioxidant polyphenol is common in cinnamon. Among other benefits, polyphenols help your cells and skin fight the effects of free radicals and aging. Cinnamon has been proven to stop the buildup of the protein tau in the brain. This buildup is a key factor in the development of Alzheimer’s. When using cinnamon in your food, it helps reduce the negative effects of consuming high-fat and high-sugar meals. It reduces the amount of triglycerides in your blood (which can cause coronary disease) and turns excess sugar into energy. The sweet spice helps reduce the body’s insulin resistance. Insulin resistance is a dangerous key factor in the development of type 2 diabetes. Cinnamon has been shown to block the production and activity of enzymes that are necessary for cancer growth.